As children in Chesterfield prepare to return to school this week one charity is promoting the message that ‘In Africa, education is a privilege not a right‘. 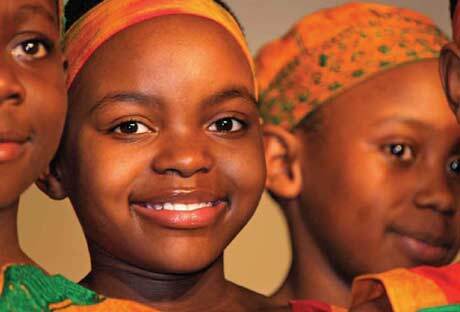 The African Children's Choir provides children who have lost one or both parents through war or disease in Africa with a home and an education. A choir made up of children aged between 8 and 11 from Kenya and Uganda gave a rousing performance in front of a packed audience at St Augustines Parish Church, helping to raise much needed funds to carry out work building schools and infrastructure in villages throughout the African continent. It's part of a yearlong tour that will see the children perform throughout the UK, America and Europe. Tour leader Sharye Cornmesser says the charity is instrumental in providing the children with a safe living environment and an education within a family structure. It's hoped that this education and solid upbringing will help the children go on to become teachers, doctors and politicians themselves and help to shape the future direction of the African continent. Some past members of the choirs are now working for the charity, helping to guide the next generation. Sharye said, "This concert is about the hope that they can bring and that they still have and to bring awareness of children in Africa. The children come from all different backgrounds but it's all about helping Africa's most vulnerable children so that they can help Africa tomorrow - they can step up and become the next leaders of their countries".